Documentary following the people who fight their parking tickets. Featuring both the council's parking enforcement departments and the amateur parking campaigners who oppose them. Observational documentary about people who fight their parking tickets. In 2012, more parking tickets are issued in the UK than ever before and new technologies to catch motorists continue to be deployed across the country. This film follows the stories of both the council parking enforcement departments who issue tickets - and the motorists who have decided to fight back against the system. Aside from the stories of the ordinary motorists fighting their individual tickets, the film also follows 'parking campaigners', dedicated amateurs who insist that the councils are unjustly punishing motorists and using parking as a way to raise revenues. These individuals are passionate about pointing out the injustices of the system, battling the councils and saving other motorists from receiving 'unjust tickets'. Their methods are extremely varied. 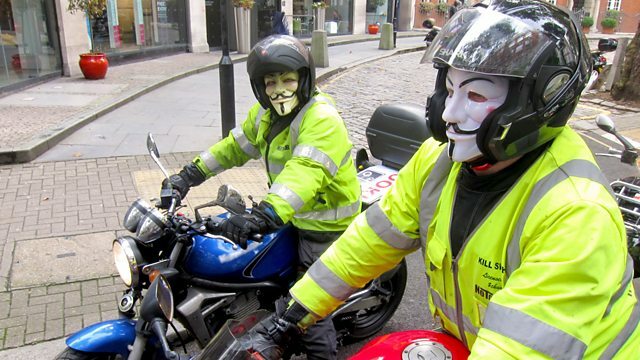 Some get tickets deliberately to prove their point, others take their parking tickets to the High Court, whilst one group have even formed a masked motorcycle gang to take their fight to the streets. The film also hears from the other side of the issue - the Traffic Penalty Tribunal, the legally-binding national body that has the final say on whether motorists must pay their parking tickets or not.